Craig Bellamy has admitted that he finds Manchester United forward Anthony Martial frustrating to watch. The France international moved to the Red Devils in a £36m deal from Ligue 1 side AS Monaco in the 2015 summer transfer window. Martial’s price tag made him the most expensive teenager in the world as Louis van Gaal took a calculated punt on the promising forward. The 22-year-old scored on his debut in a 3-1 win over Liverpool FC before he finished the season with 19 goals in all competitions. However, Van Gaal’s successor Jose Mourinho has shown a reluctance to rely on the France star due to his inconsistent performances. While Martial has flair and pace in abundance, the former Lyon star has often been accused of possessing a poor work rate. The Manchester United forward has started 16 times and made 10 substitute appearances in the Premier League this term, while he started four games and came off the bench four times in the Champions League. Martial, who has scored 11 goals and made five assists, has been linked with a potential summer move amid reported interest from Inter Milan, Paris Saint-Germain and Tottenham Hotspur. 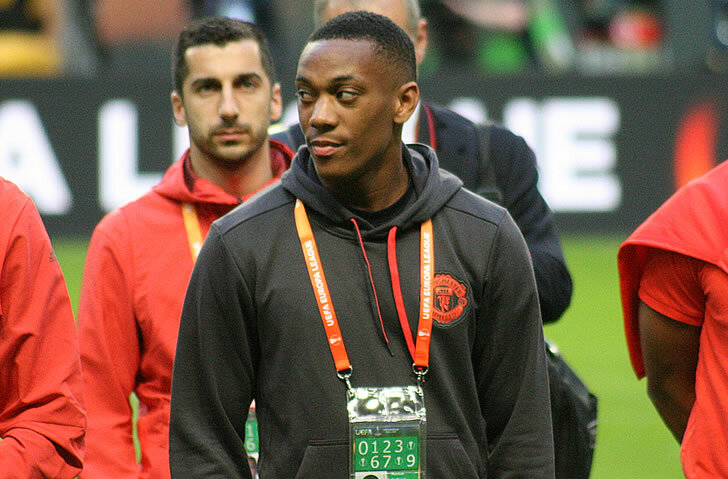 Former Man City striker Bellamy admitted that he finds Martial very frustrating. “I like him but he frustrates me,” Bellamy told Sky Sports. “I watch him and I’m thinking ‘please use your pace, go on the outside for once’. He has all that ability.